Last week, nine Malaysians returned home after being held in Pyongyang following the assassination of Kim Jong Nam, half-brother of North Korean leader Kim Jong Un. Perhaps battle-weary from the whole Beauty And The Beastiality gay thing, Malaysia had agreed to release the half-brother’s body to North Korea in exchange for the return of the Malaysian embassy workers and their family members. Wait, you mean the relation between the two countries hasn’t been “harmed” already? Anyway, it’s unlikely a case like this can happen again since Kim Jong Un has run out of half-brothers — but he still has another brother, Kim Jong Chul. Here’s a tip for him — avoid Malaysian airports. I’m grateful that Kim Jong Nam at least wasn’t killed in Changi Airport and the assassination didn’t take place last year. Otherwise, I could have been the one held hostage in Pyongyang. Yes, I was in North Korea a year ago. And it wasn’t because I made a mistake like that teen from the Netherlands who wanted to go to Sydney, Australia, but bought a ticket to Sydney, Canada, instead. It was not like I wanted to go to South Korea and somehow ended up in the wrong Korea (although that does sound like something that could happen to me). I wanted to go to North Korea for three reasons. The first is I wanted to run in the Pyongyang Marathon, albeit in the 10km category because the only marathon I have ever completed is The Hobbit three-movie marathon at GV VivoCity in 2014. Second, you know how Amos Yee was granted political asylum in the US last month after a judge ruled that Yee’s “prosecution, detention and general maltreatment at the hands of Singapore authorities constitute persecution on account of Yee’s political opinions”? I imagine that for people who have never been to Singapore, that must make our country sound like an awful place, even though for most of us here, it’s not really that bad despite Amazon postponing its Singapore launch to later this year. So with all the negative publicity about North Korea, I wanted to see for myself whether the country really is as awful as the 2014 James Franco-Seth Rogen movie The Interview made it out to be. The third reason is I wanted to get Kim Jong Un’s haircut in its land of origin. I had read contradicting stories about Kim’s iconic do. One story was that all the guys in North Korea must have the same haircut as their Supreme Leader. I also read somewhere that only the man himself is allowed to rock the style. The first story was debunked when I arrived in Pyongyang and noticed that the dudes there have different haircuts. The second story was disproven when I asked for Kim’s haircut in the hotel barbershop and wasn’t forcibly sent to a prison camp for reeducation. The barber was a nice middle-aged lady who also trimmed my nasal hair and gave me a shoulder massage. The other foreign marathon runners and I were prohibited from leaving the hotel without our assigned North Korean tour guides, who spoke English and appeared happy to talk about their lives in the supposed hermit kingdom. They seemed like normal, rational human beings who just happened to worship Kim, his father Kim Jong Il and grandfather Kim Il Sung like they’re the Holy Trinity. The locals have mobile phones like the rest of the world. But no Internet. Just a nationwide Intranet of sorts. So I’m guessing no Pokemon Go too. During my three-day stay, I got to ride on their MRT train and it didn’t break down. On our last day, the guides took us to a hotpot restaurant, just like the ones in the other Korea. I enjoyed the trip so much, I half-considered signing up for this year’s Pyongyang Marathon, which is flagging off this Sunday. But it’s a good thing I didn’t. 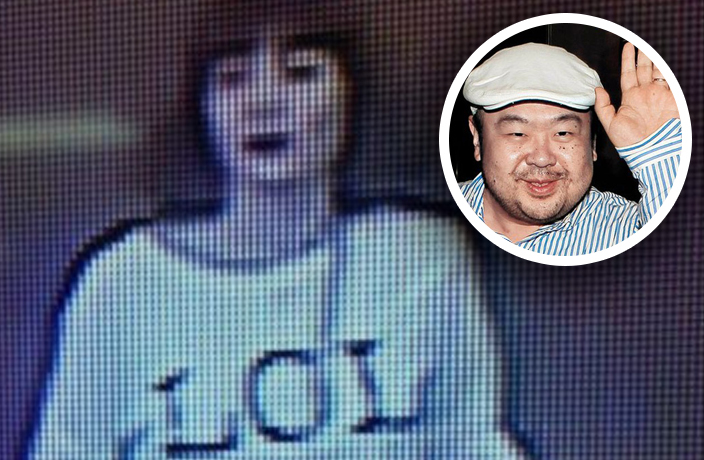 Who knows when another Kim sibling could be assassinated at Changi Airport by a woman wearing an “LOL” top who thought she was on a prank show? I don’t want to become a hostage for whom Prime Minister Lee Hsien Loong has to negotiate with North Korea to secure my safe return. That would be so embarrassing. But my greater fear is that some of you might just prefer to leave me there, you bastards. Like I’m Amos Yee or something. Since it’s unlikely I’ll ever go back, I haven’t cut my hair for a year — and probably never will again. Perhaps I should start staying away from airports too.